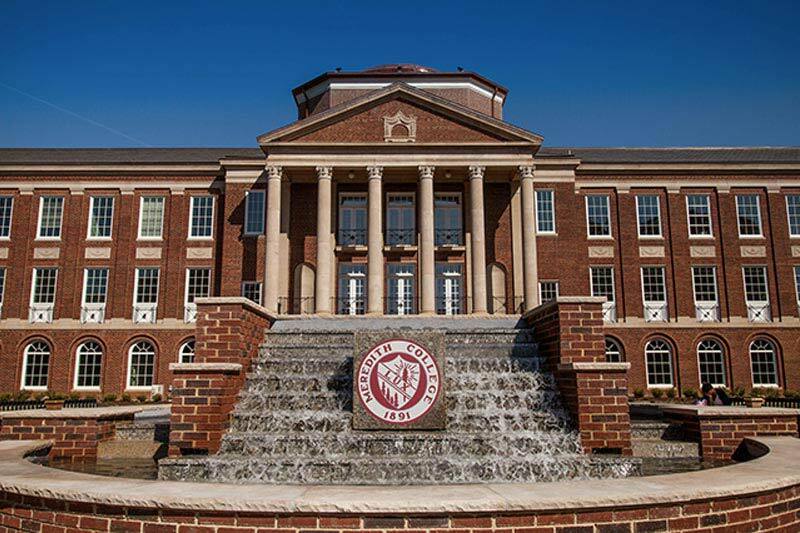 Meredith’s historic campus is one of its greatest strengths. A draw for prospective students and a point of pride for alumnae, the campus is an undeniable asset. Nonetheless, it requires an ongoing and significant investment of resources if it is to remain strong. 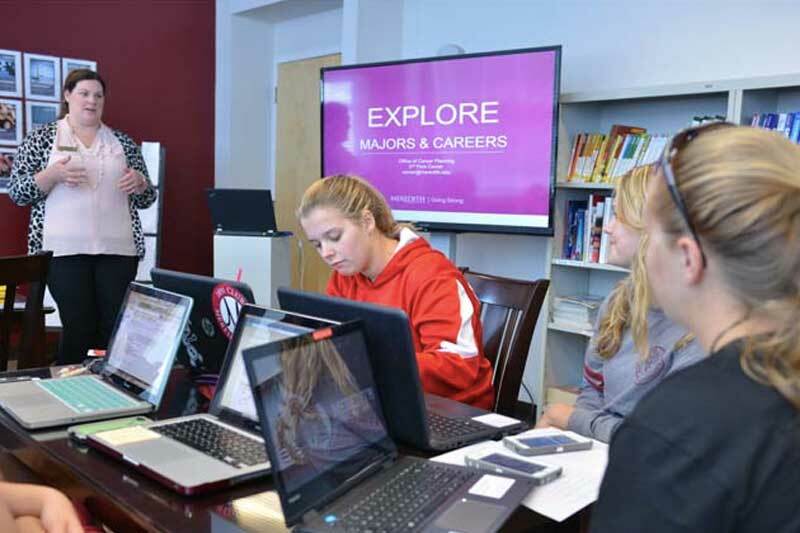 Refurbishing outdated facilities and investing in enhanced information technology are essential to our ability to attract and retain the best students and faculty. The Kresge Auditorium refurbishment project began in June 2018 and will be completed this fall. 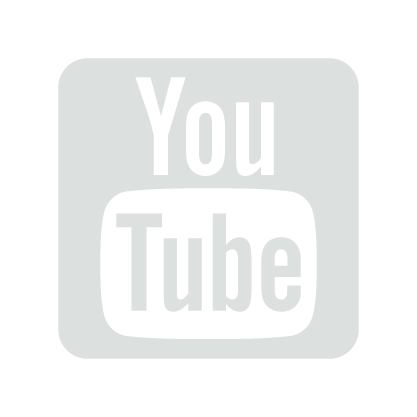 One of the major upgrades this project will bring is increased accessibility, including expanded accessible seating and improved auditorium entrances. 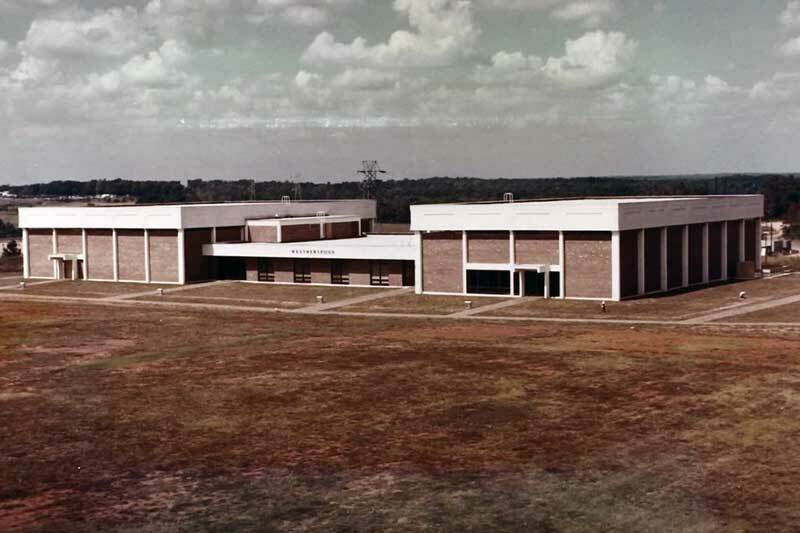 Weatherspoon Physical Education Building was completed in September 1970. The H-shaped building, with a gymnasium on the west side and a swimming pool on the east, gave students a space to be proud of and fit all the needs of the college at the time. The new building replaced a 40-year old “temporary” gym located on east campus. Johnson Hall, our most iconic building, welcomes students, visitors, and alumnae to the College each day. Gifts from two generous donors allowed the College to make needed renovations in 2015-16. The enhancements to Johnson Hall created a better experience for prospective and current students and their families – giving them a clear direction of where to find Admisssions, Financial Assistance, the Registrar, and the Business Office. StrengthsLab is a dedicated space that offers a variety of resources related to StrongPoints. In 2014 Wells Fargo Foundation donated $100,000; this gift, along with other donor gifts, were used to create this space for Meredith students. 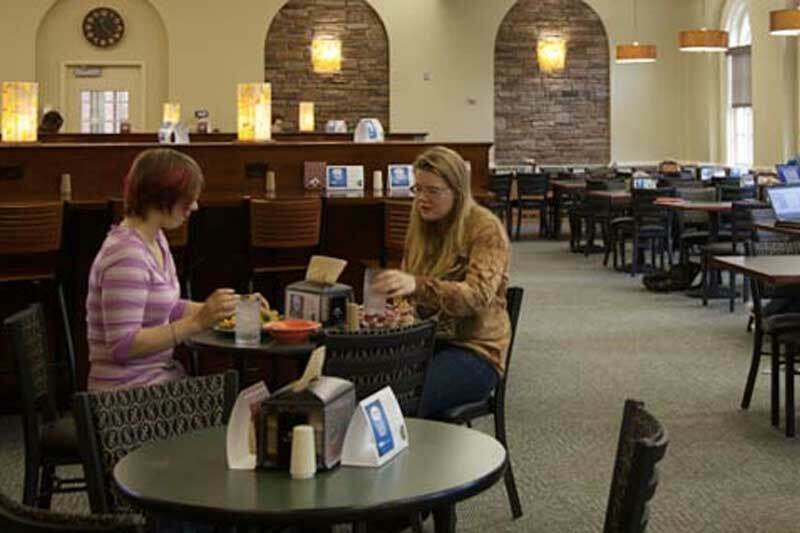 In 2013, Belk Dining Hall went through extensive renovations on the upper and lower level due to a gift from Aramark and the Parents Council. These enhancements allow for a better dining experience and allow for more flexible spaces for events.